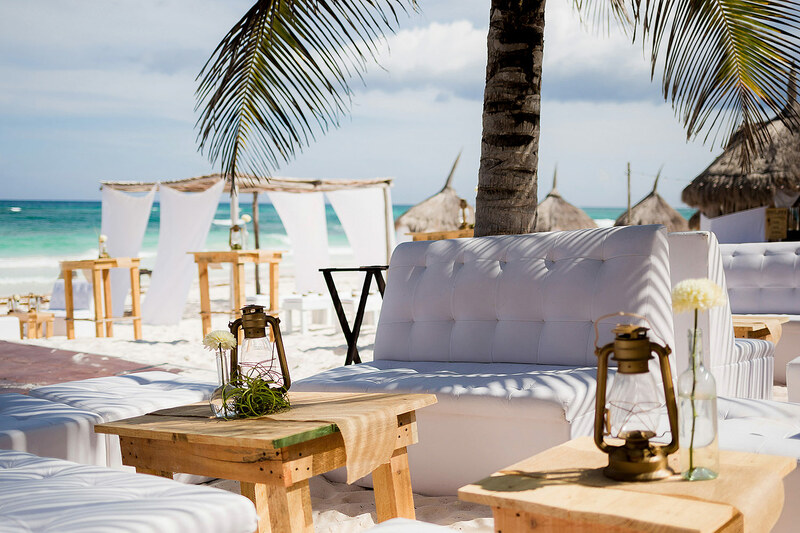 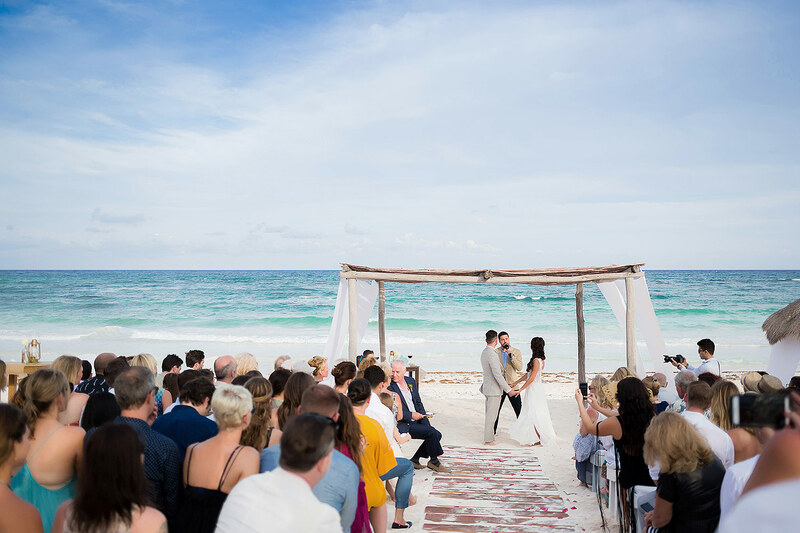 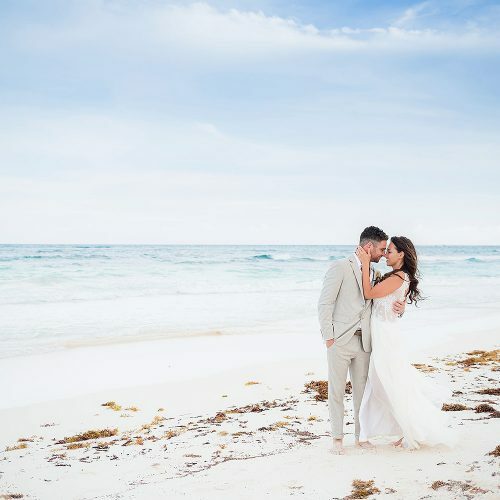 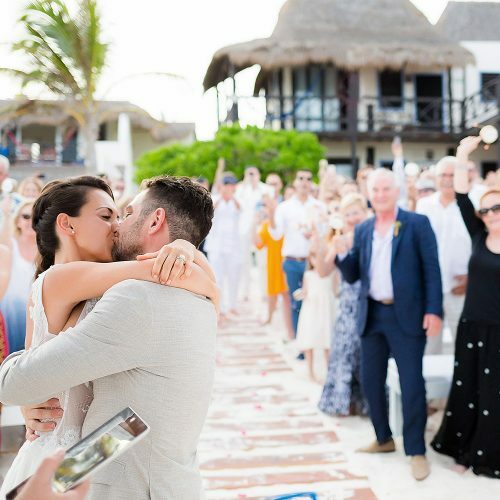 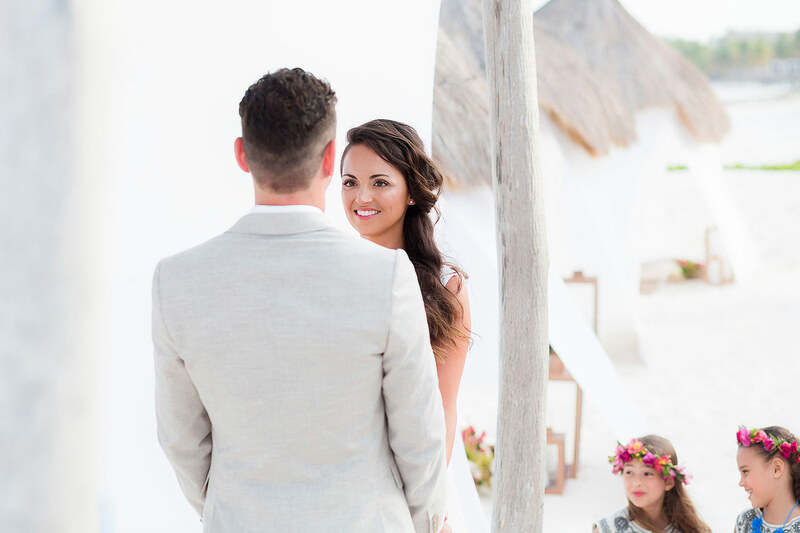 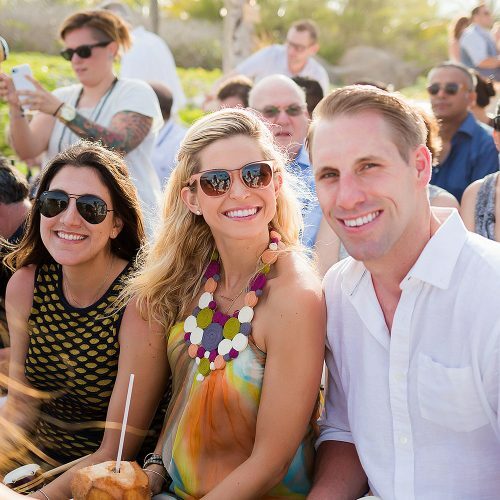 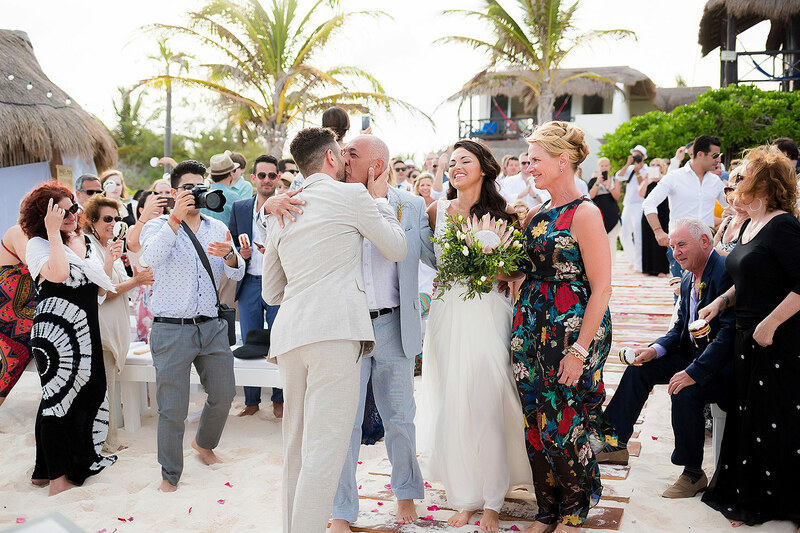 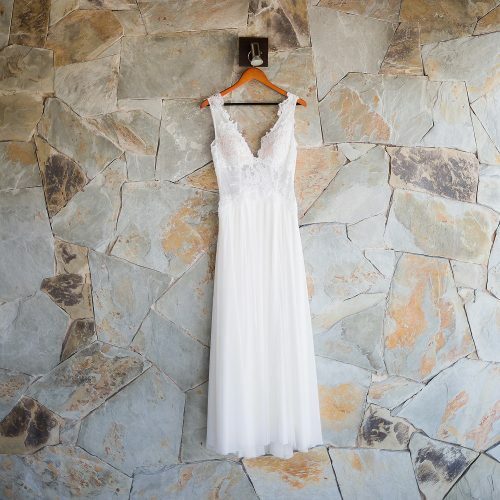 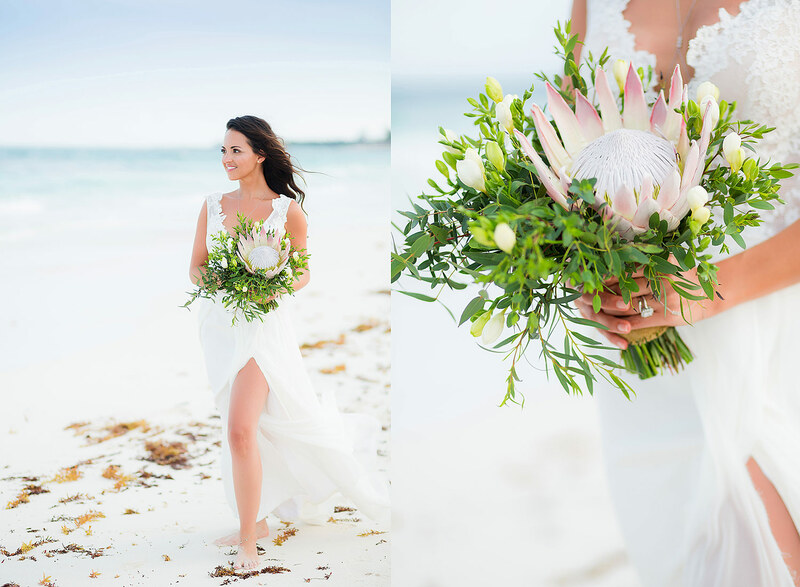 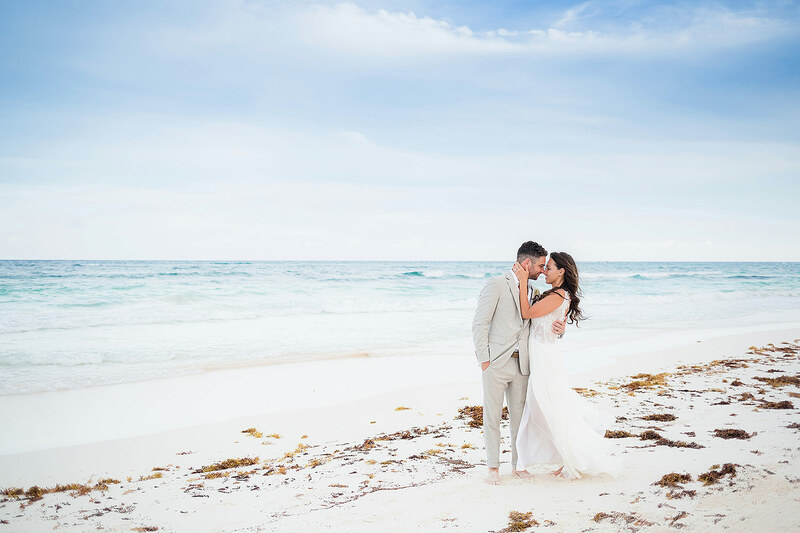 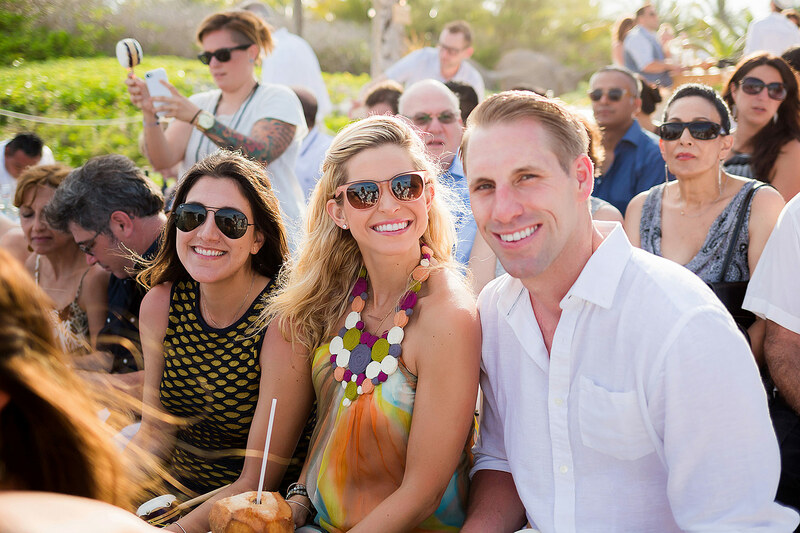 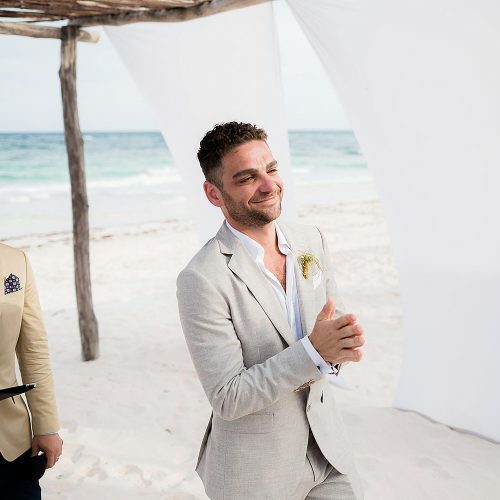 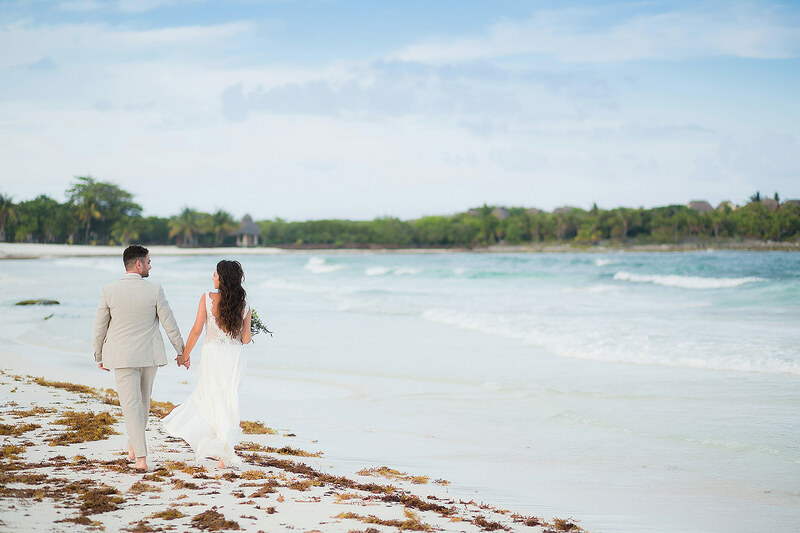 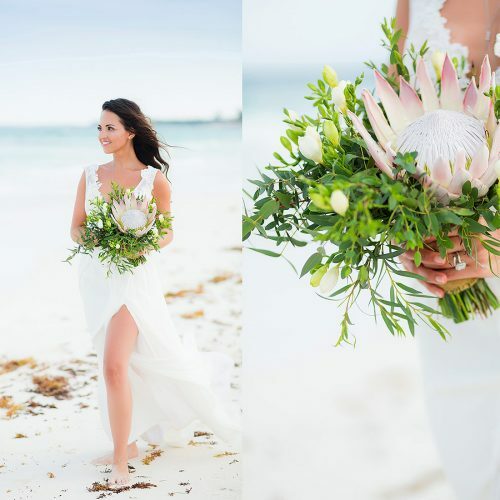 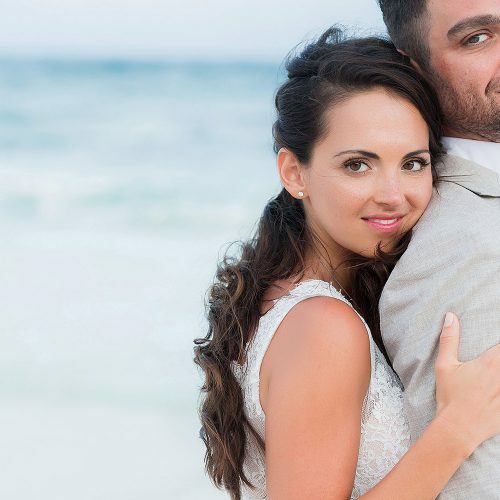 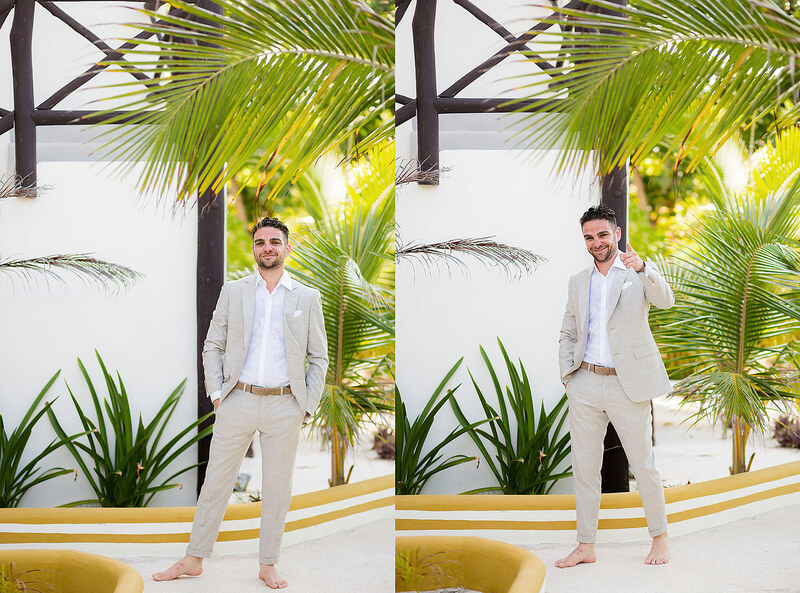 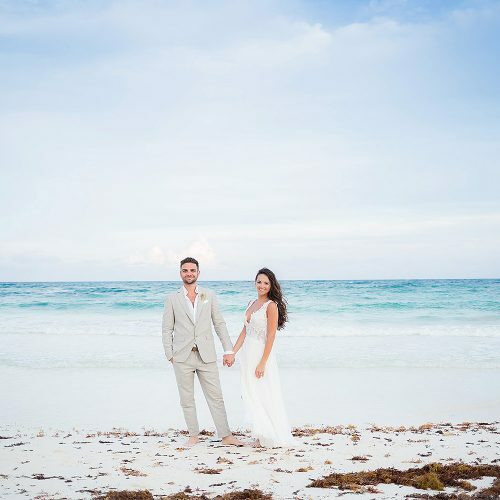 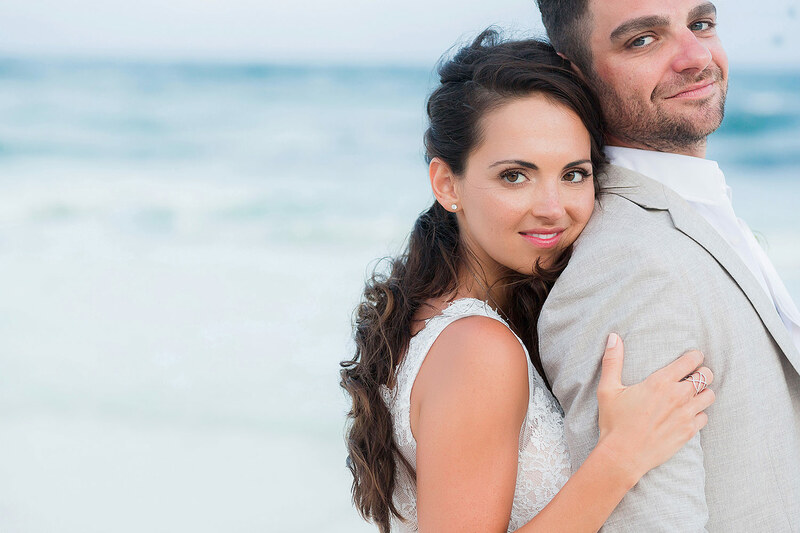 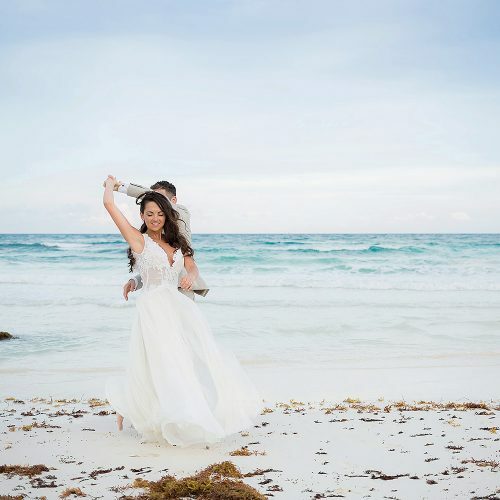 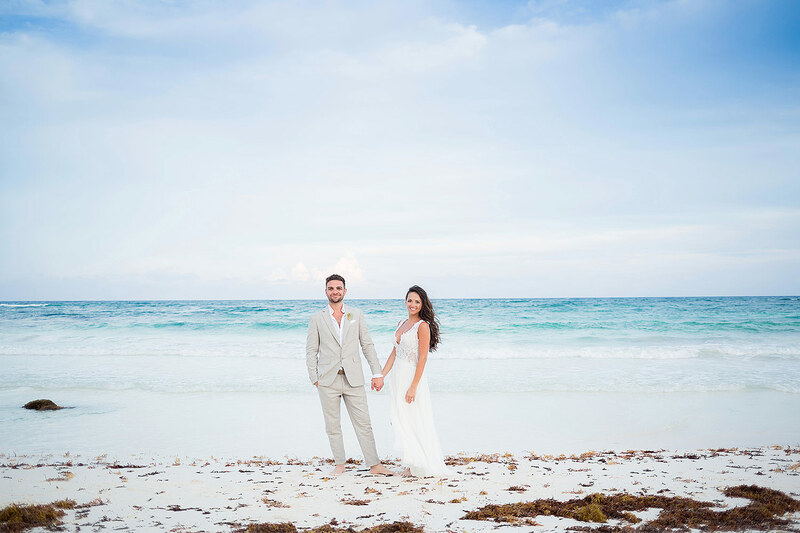 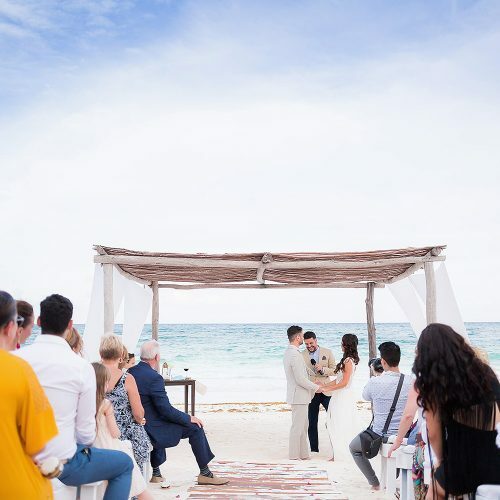 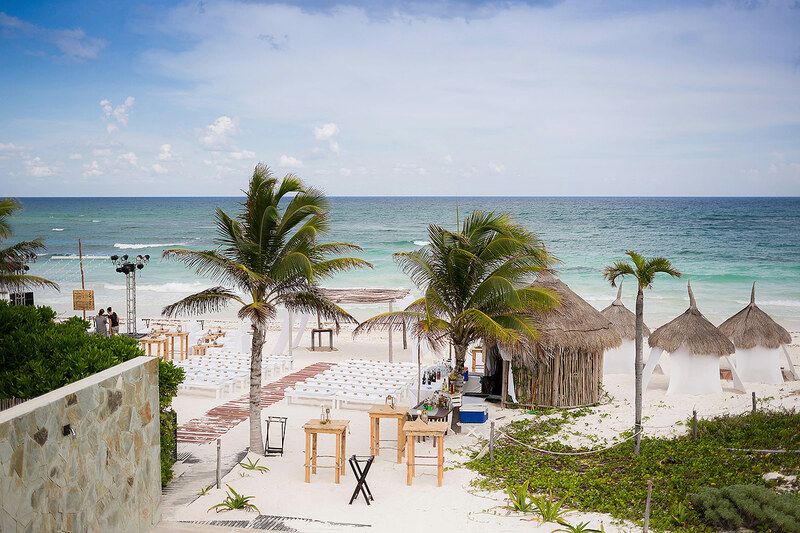 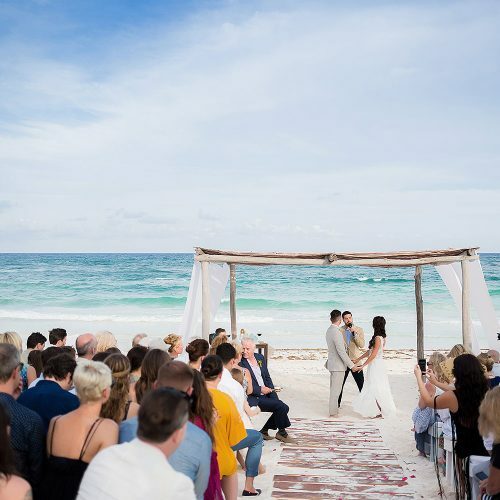 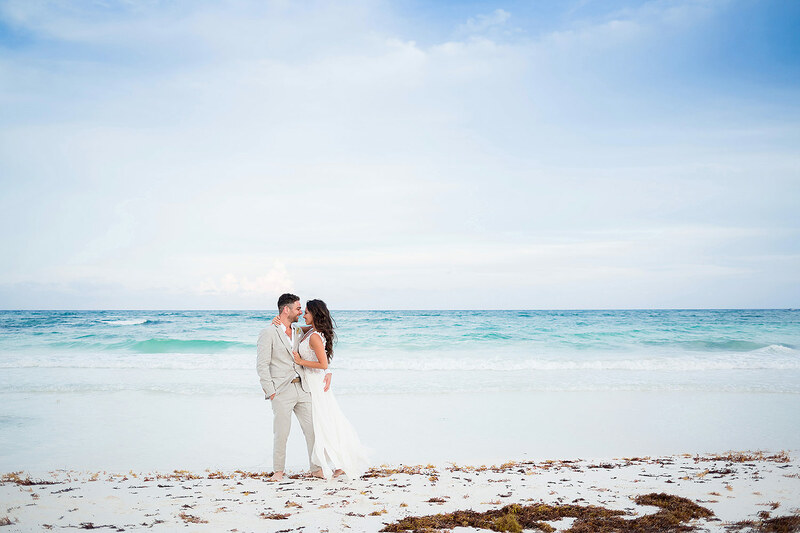 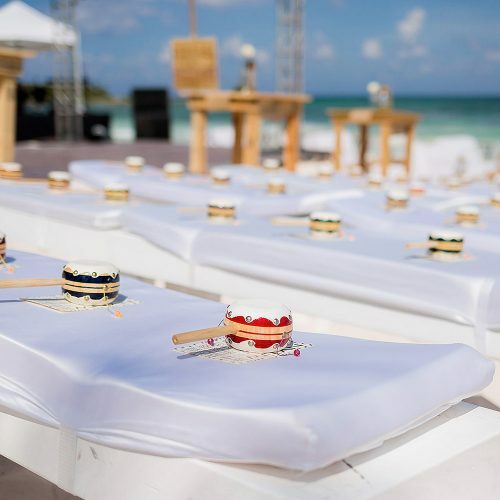 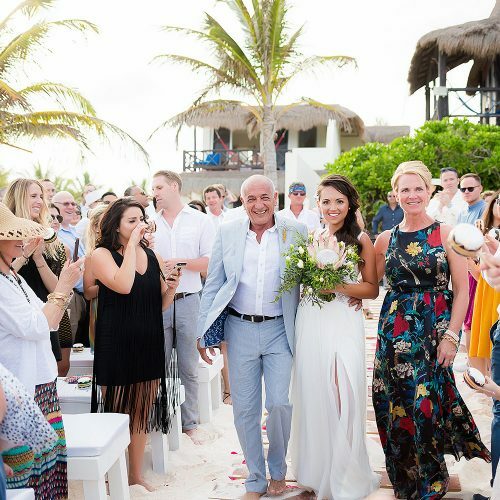 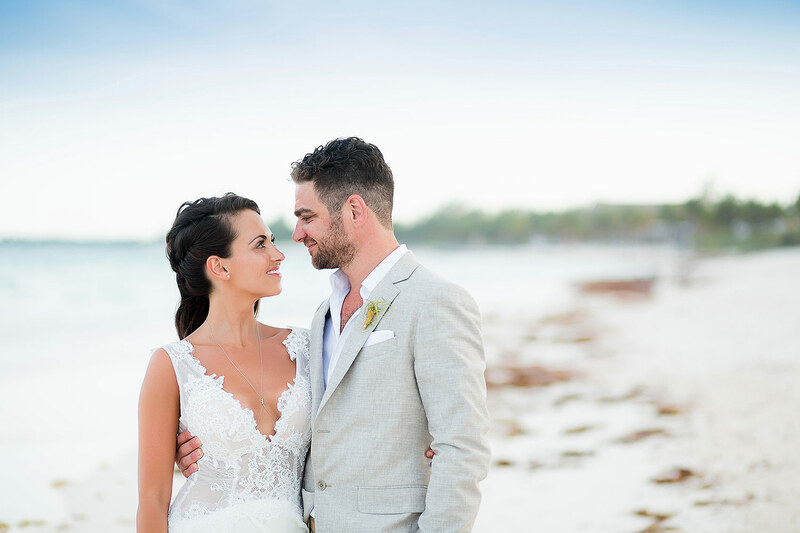 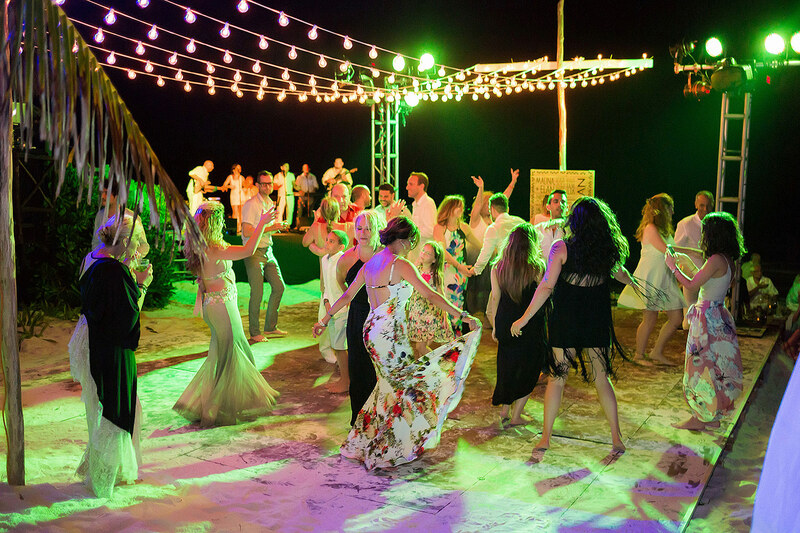 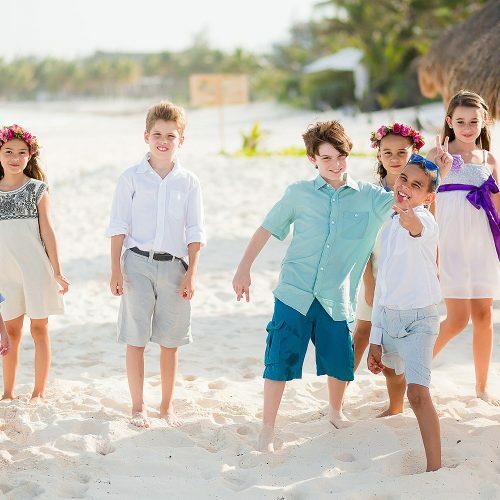 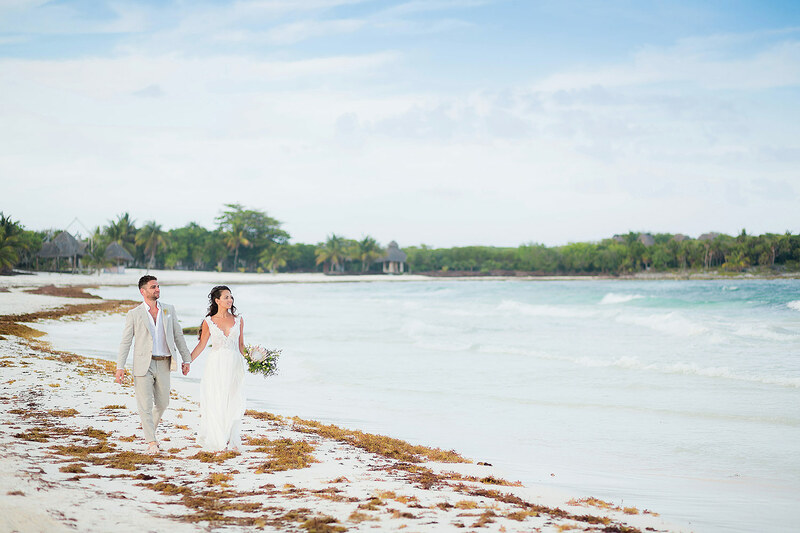 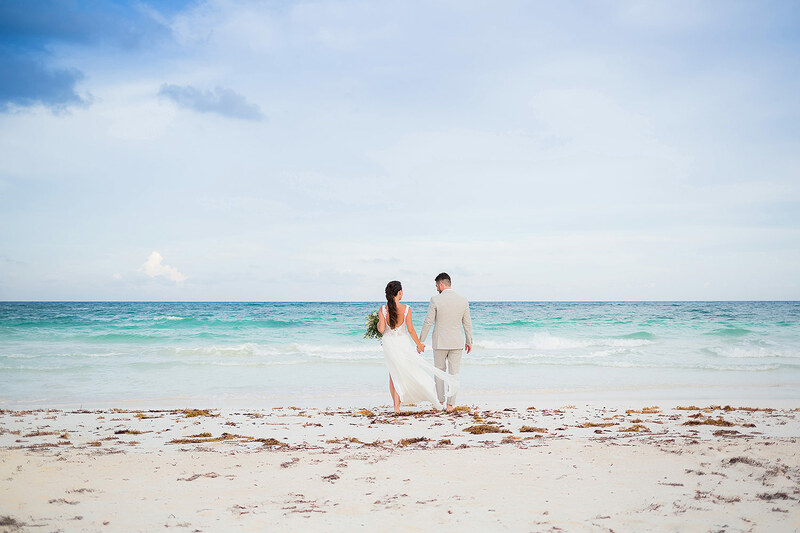 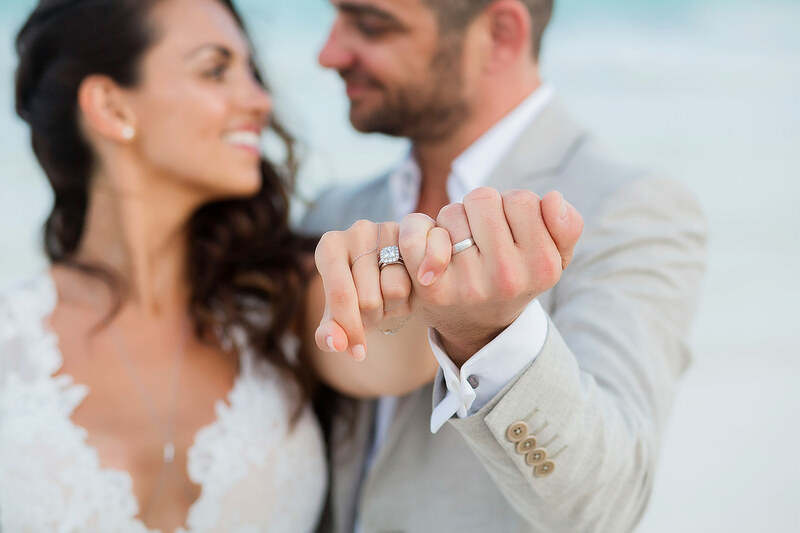 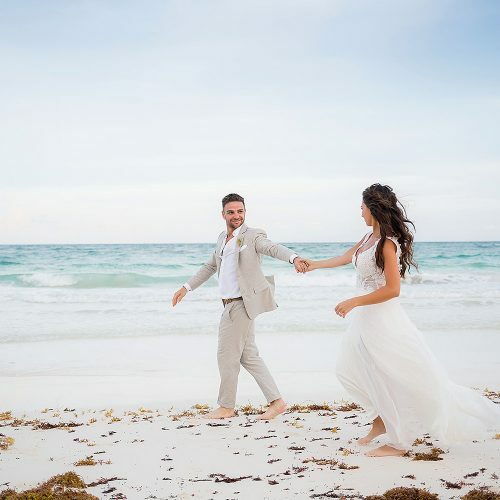 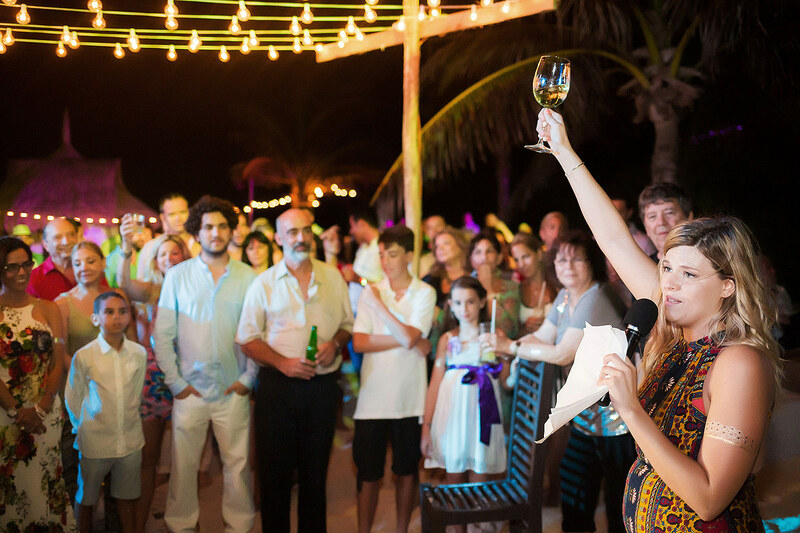 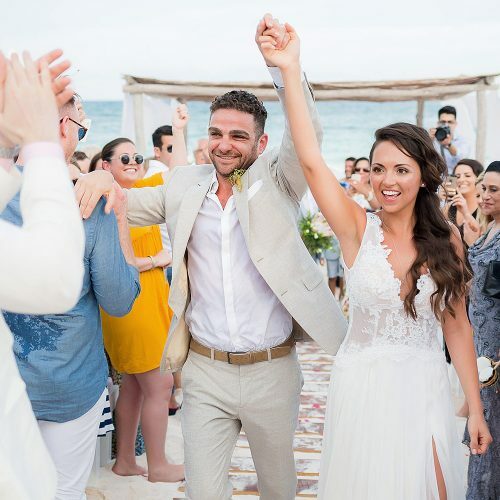 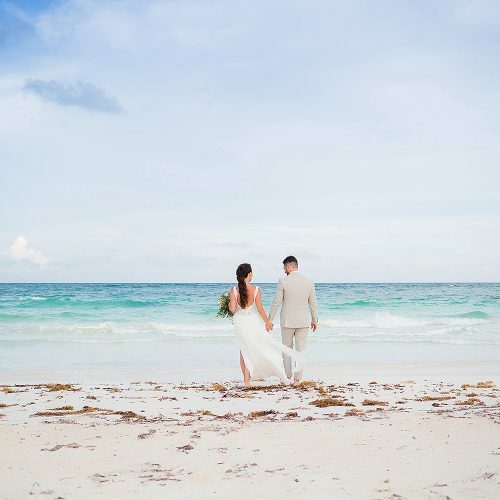 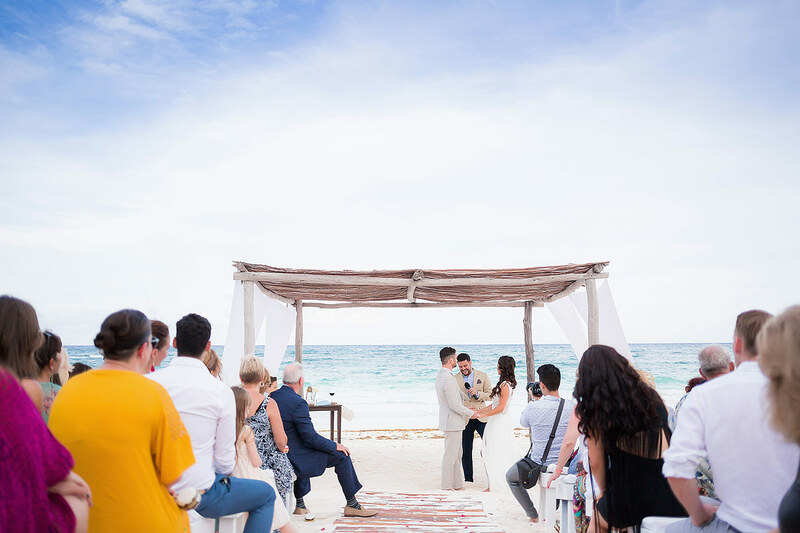 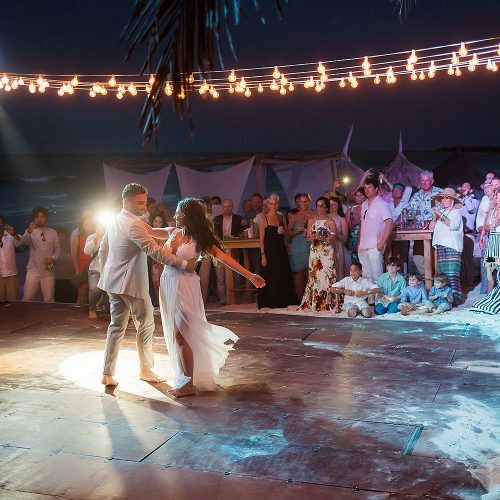 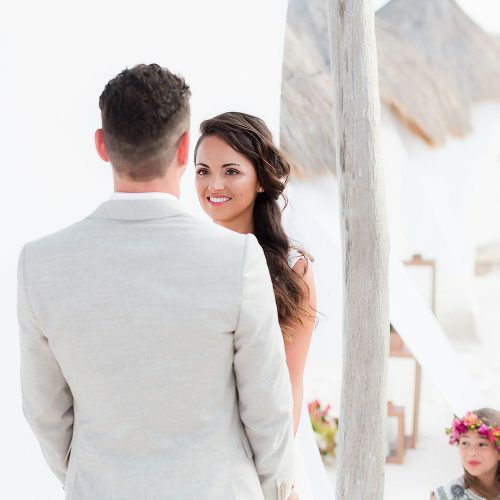 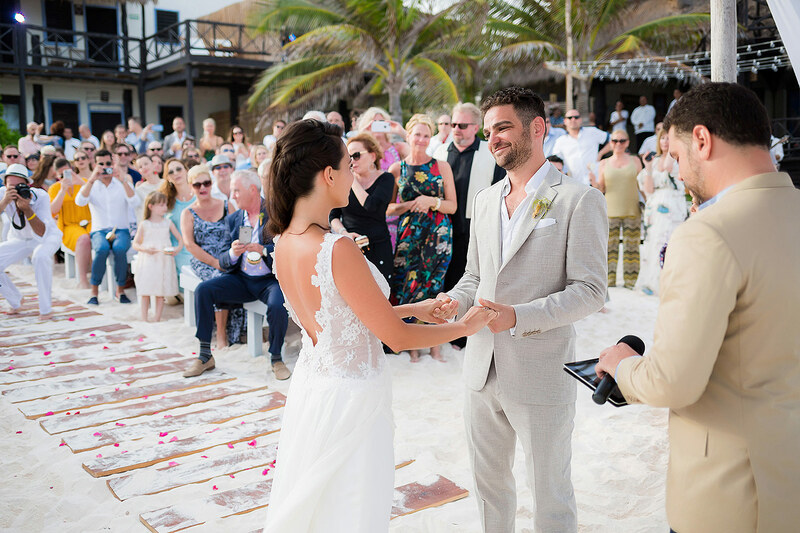 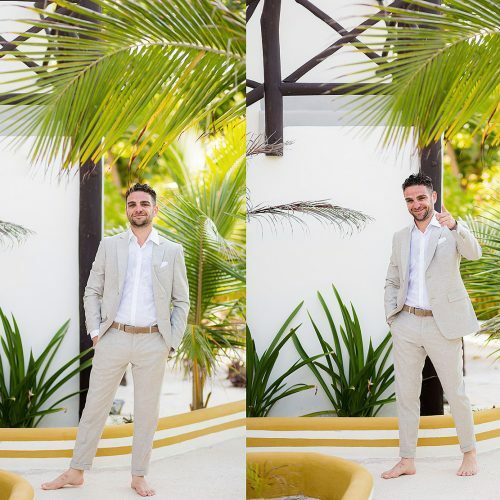 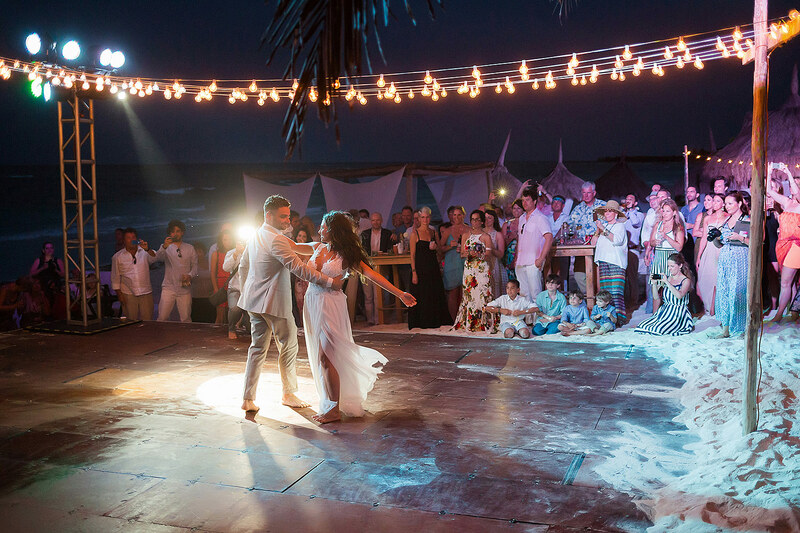 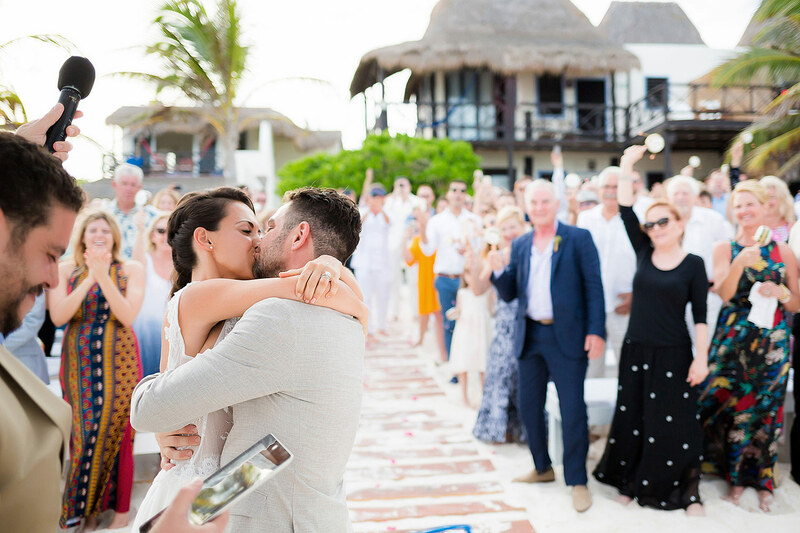 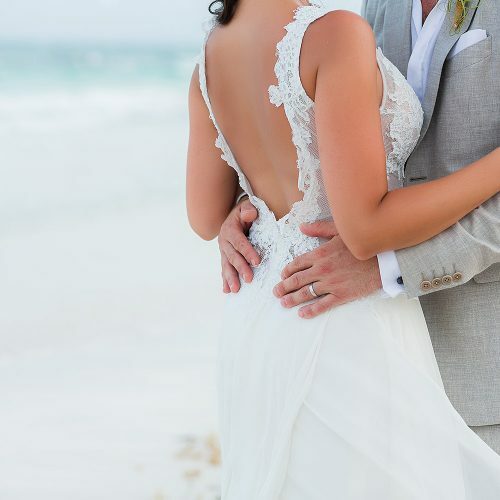 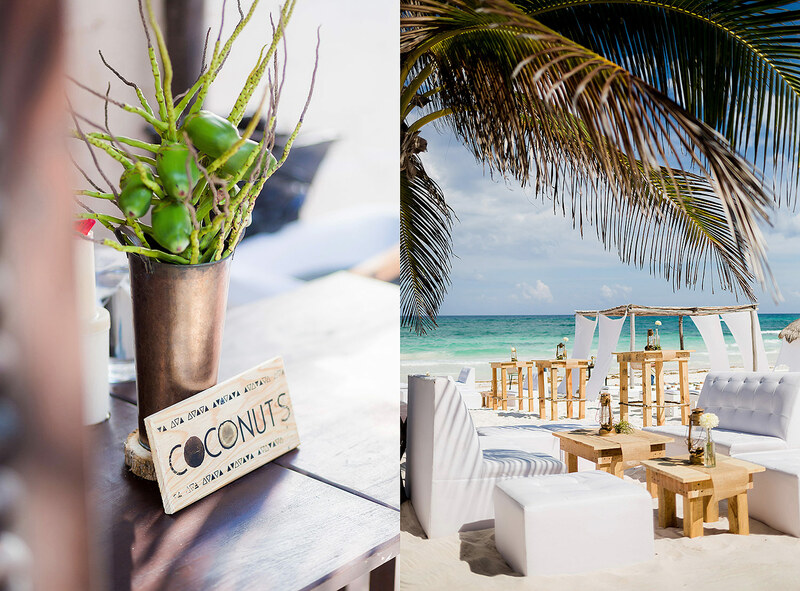 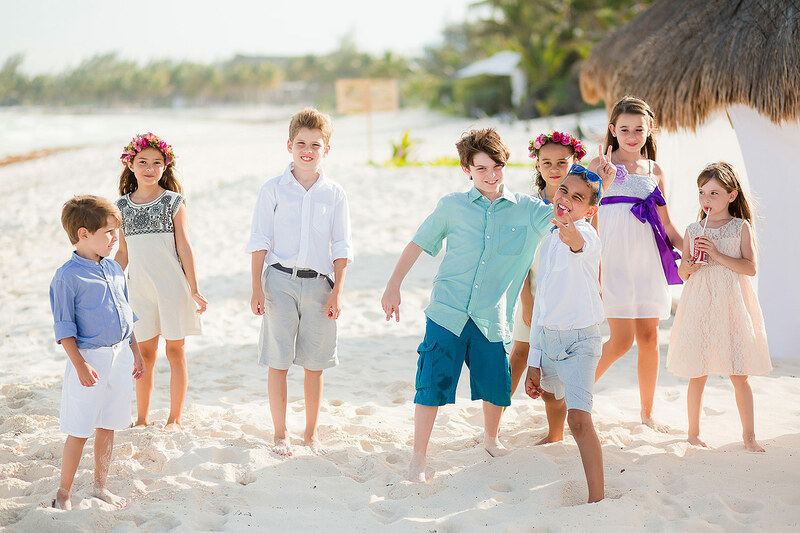 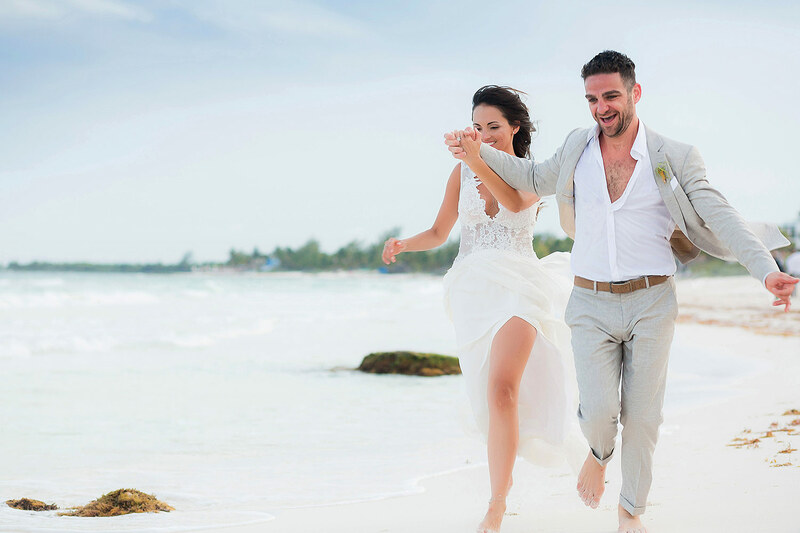 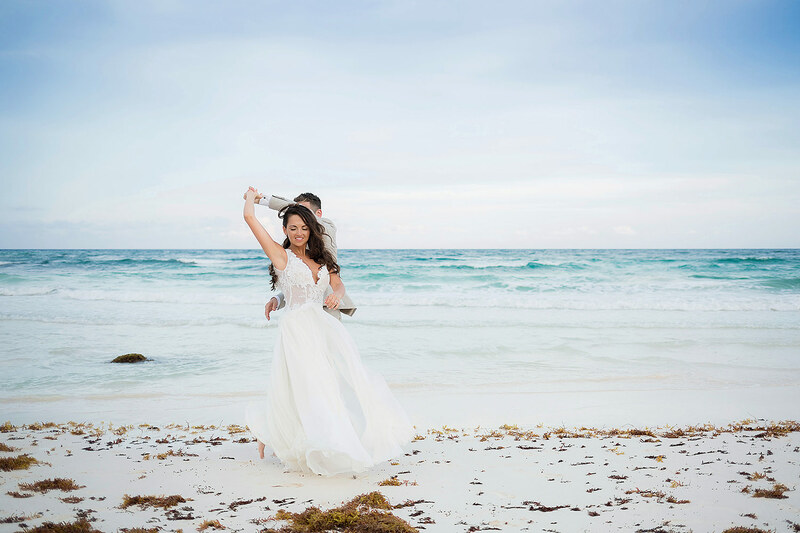 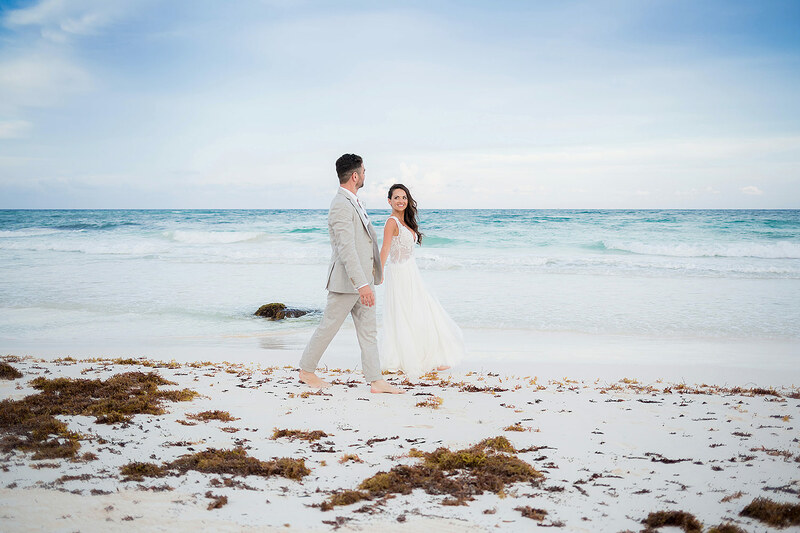 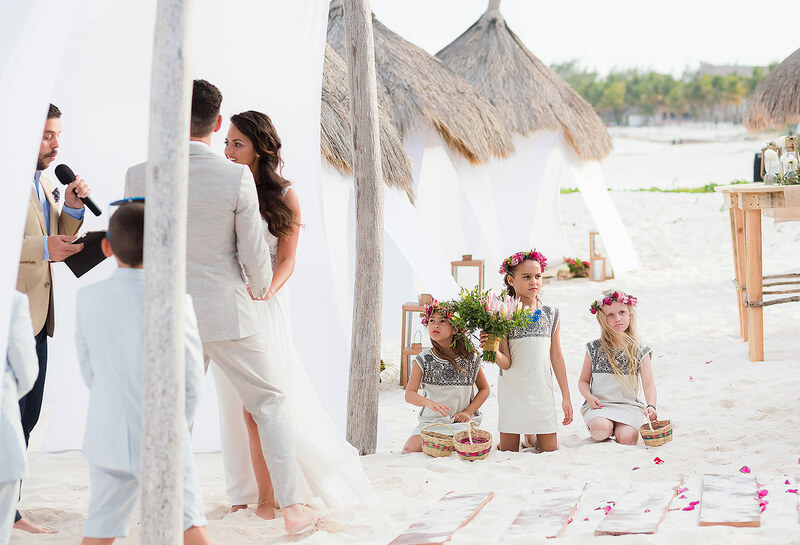 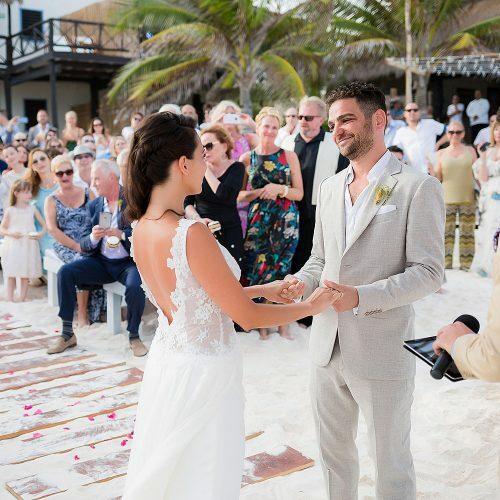 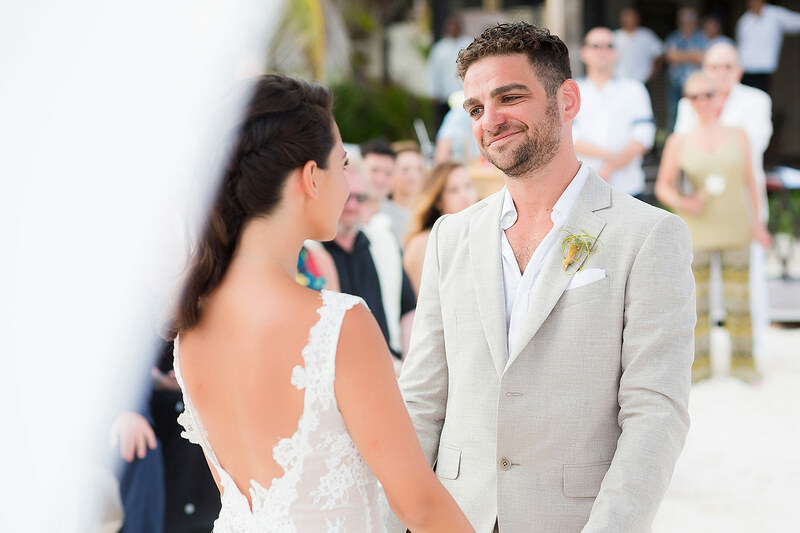 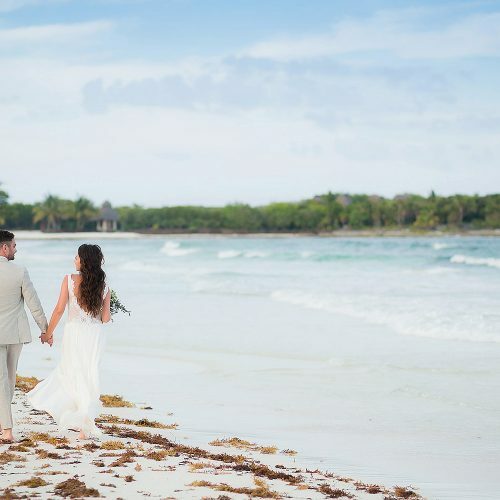 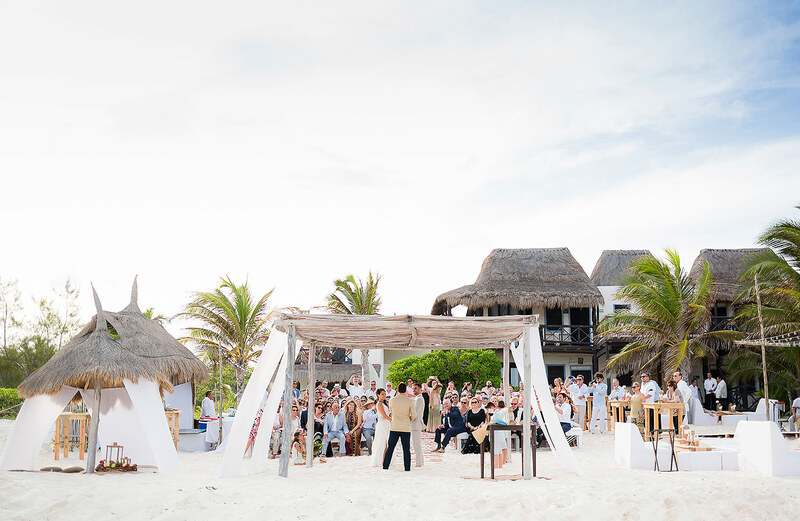 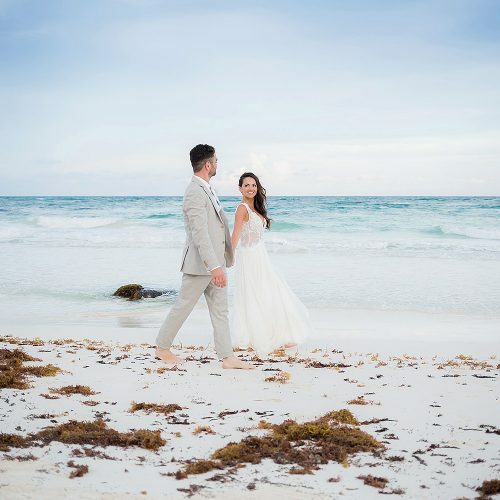 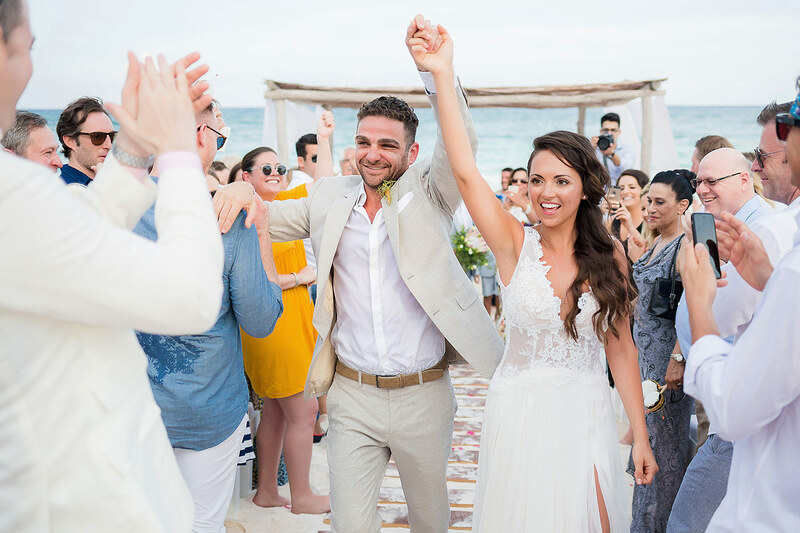 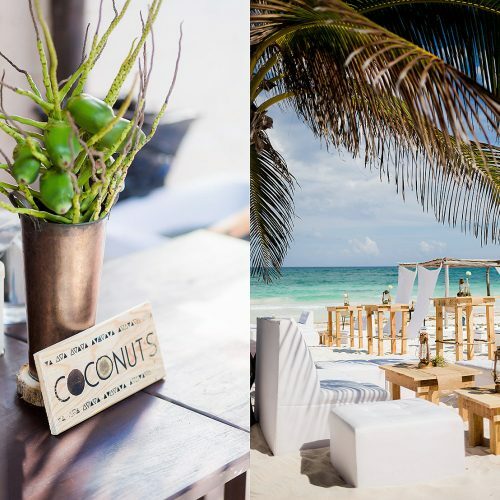 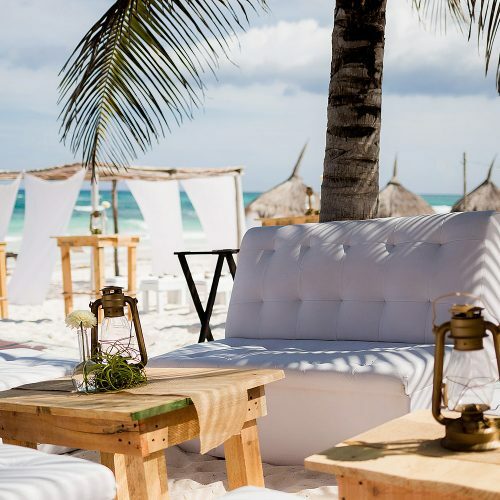 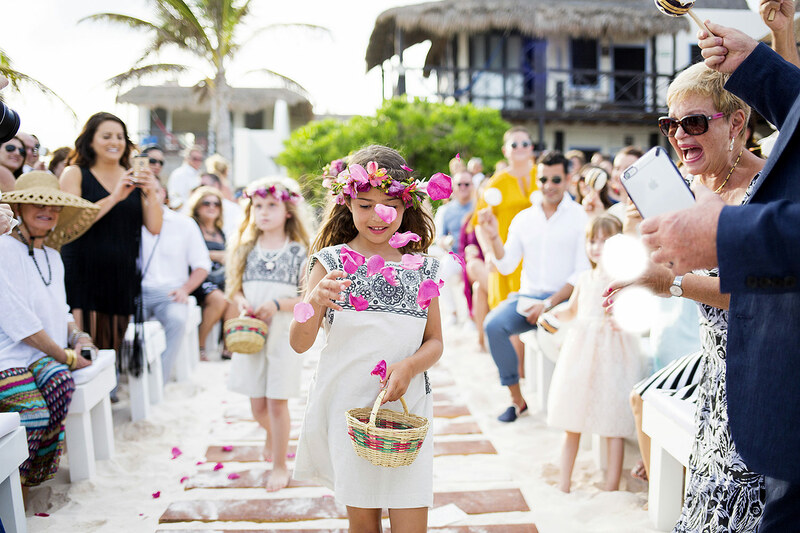 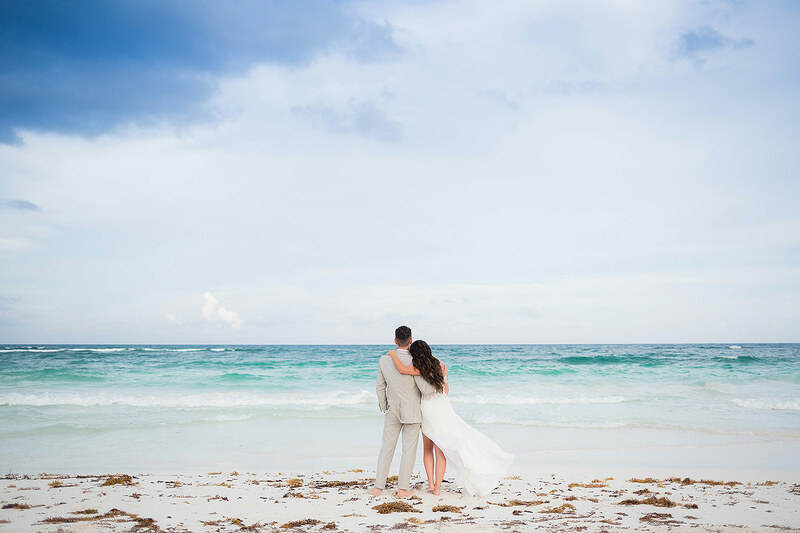 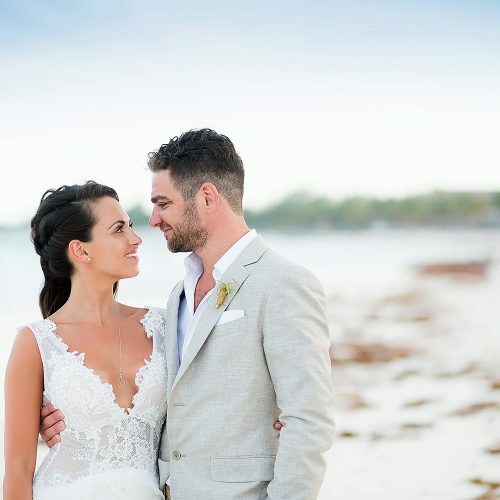 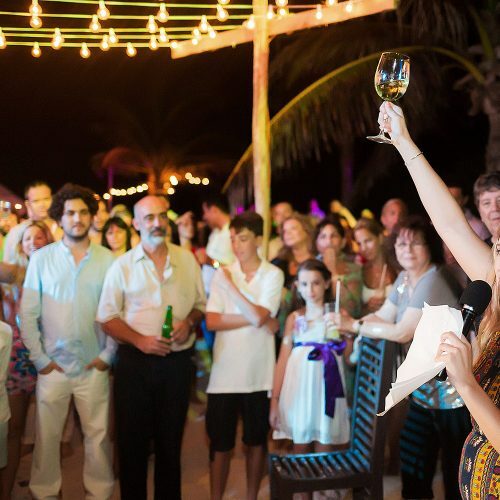 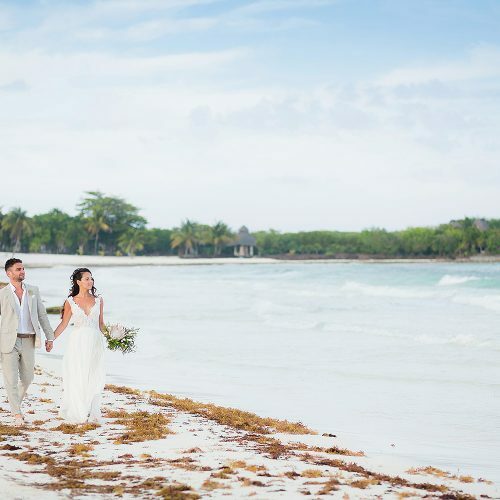 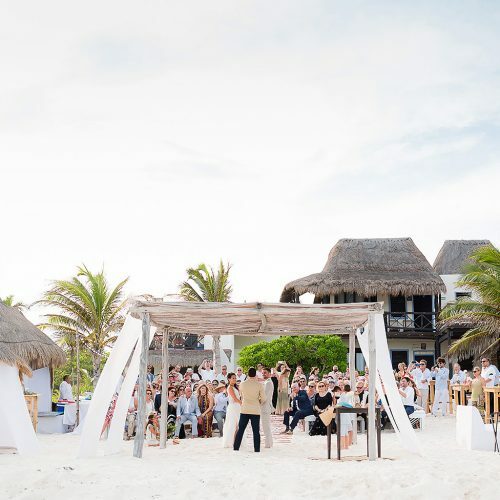 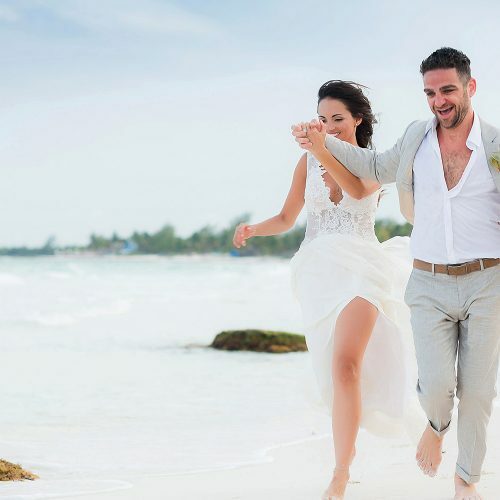 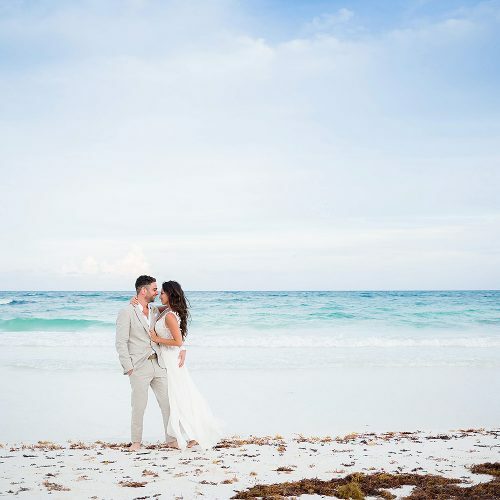 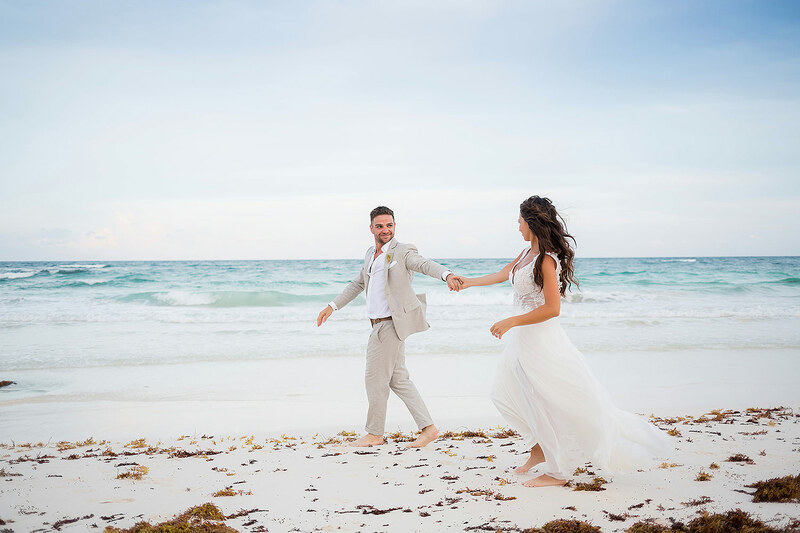 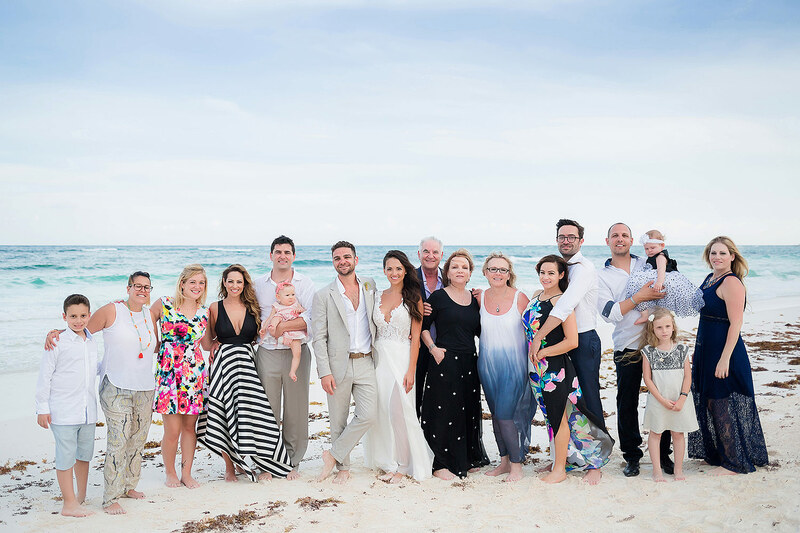 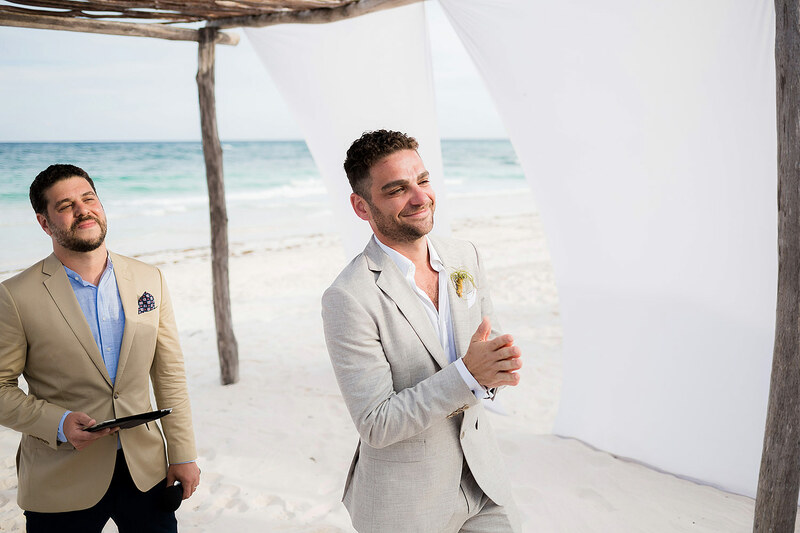 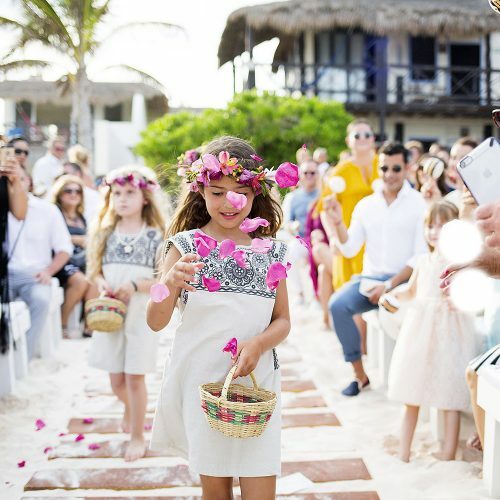 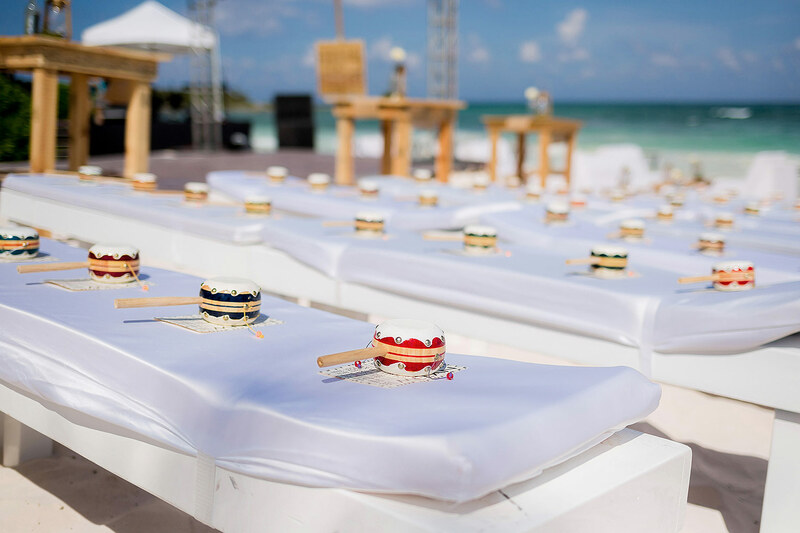 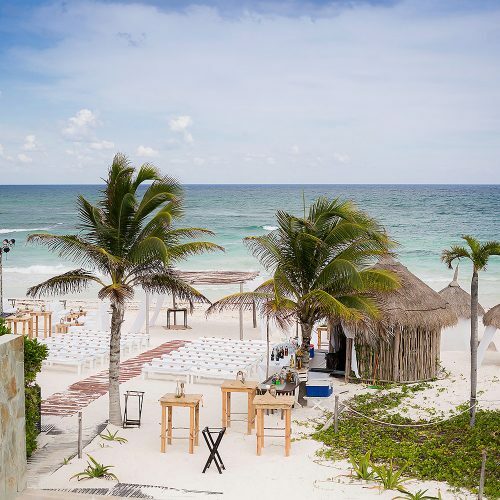 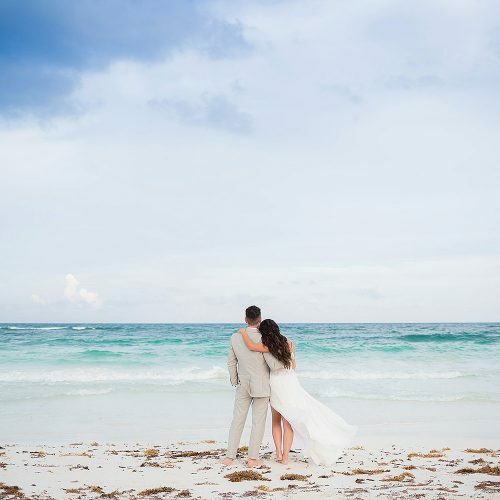 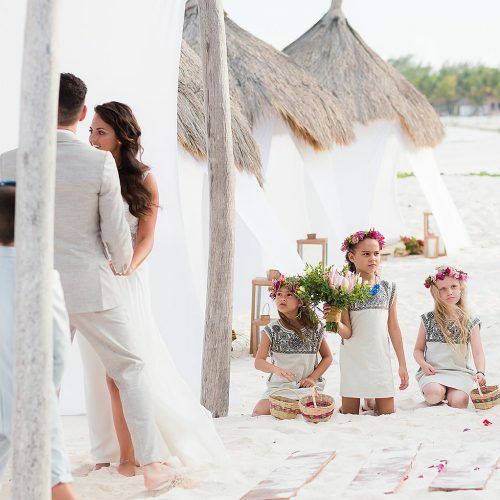 A Beautiful Beach Club Wedding in the Riviera Maya. 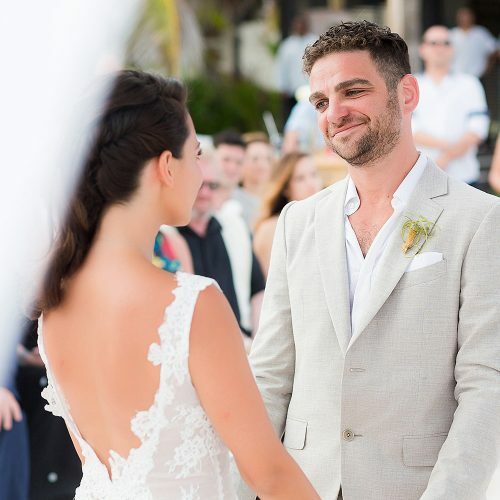 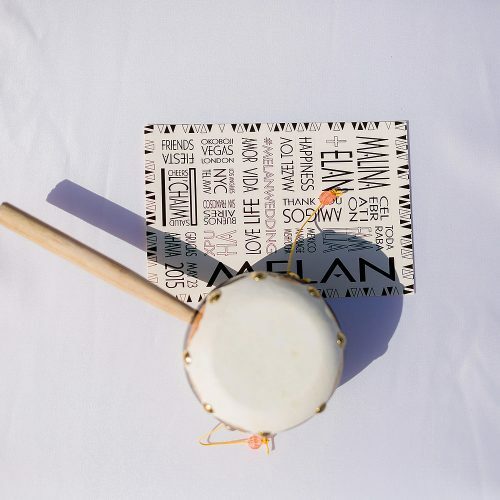 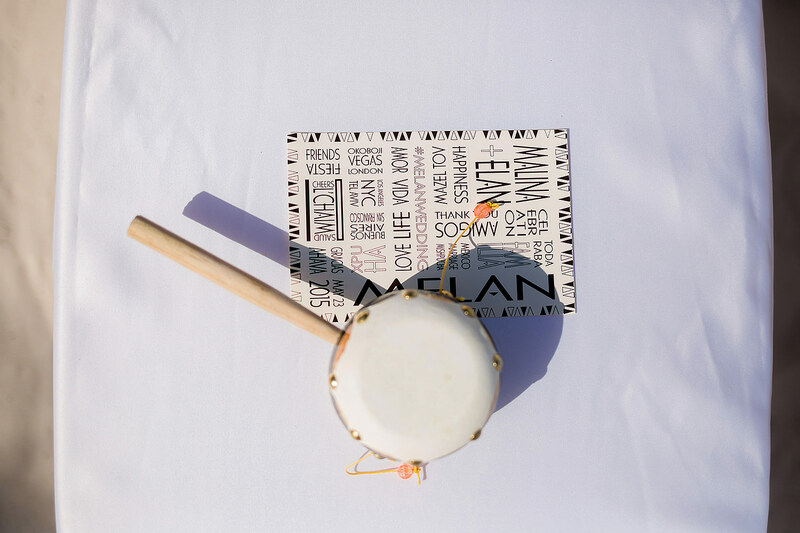 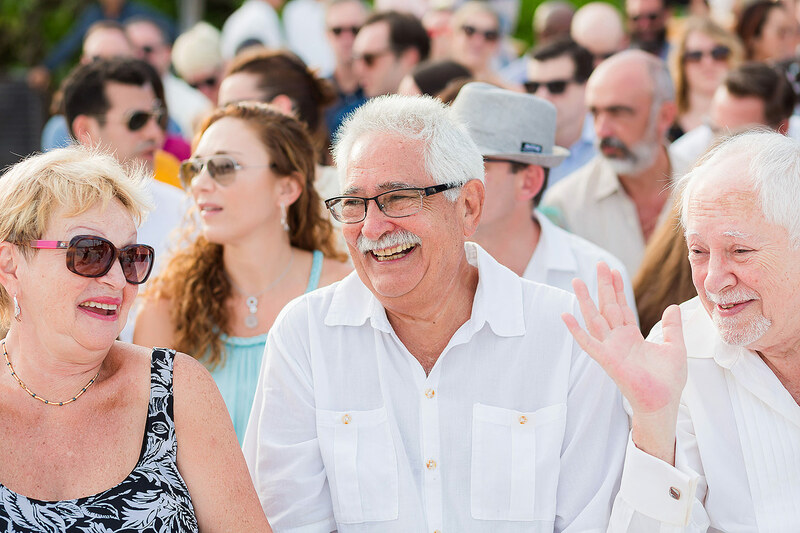 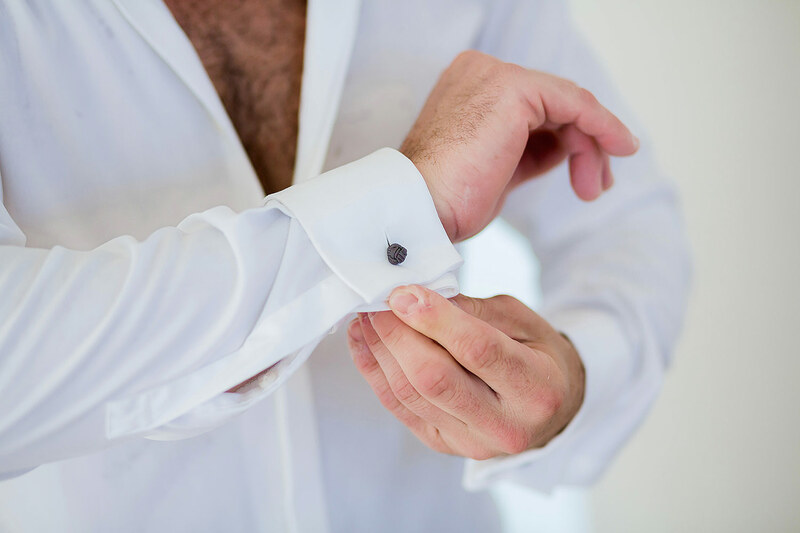 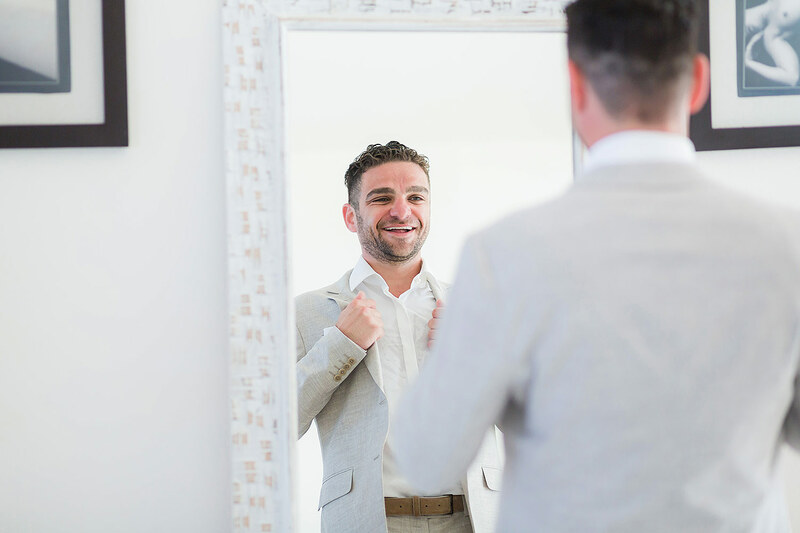 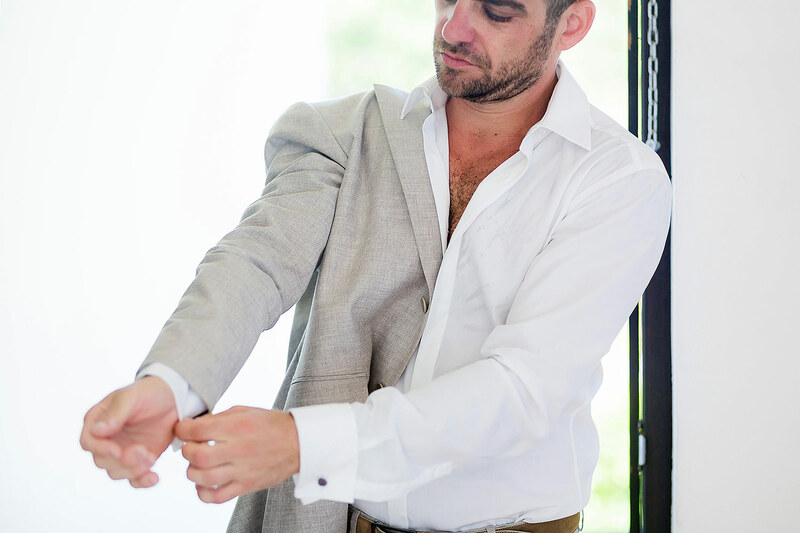 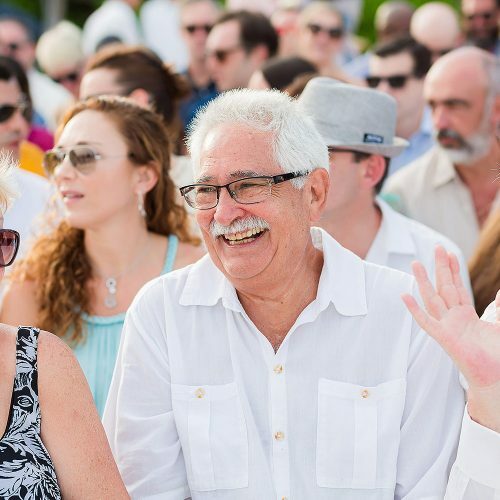 Upon arrival to my shoot of Malina & Elan’s wedding at the Al Cielo Beach Club, I sensed the vibe and new from the beginning that it was going to be a very special day! 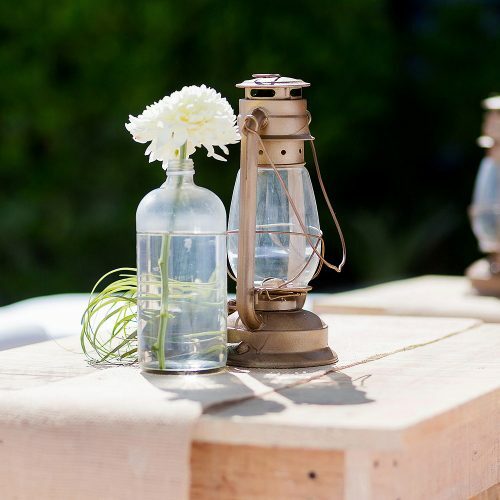 The sun was shining and the whole ambience of the decor and style of the wedding was fabulous. 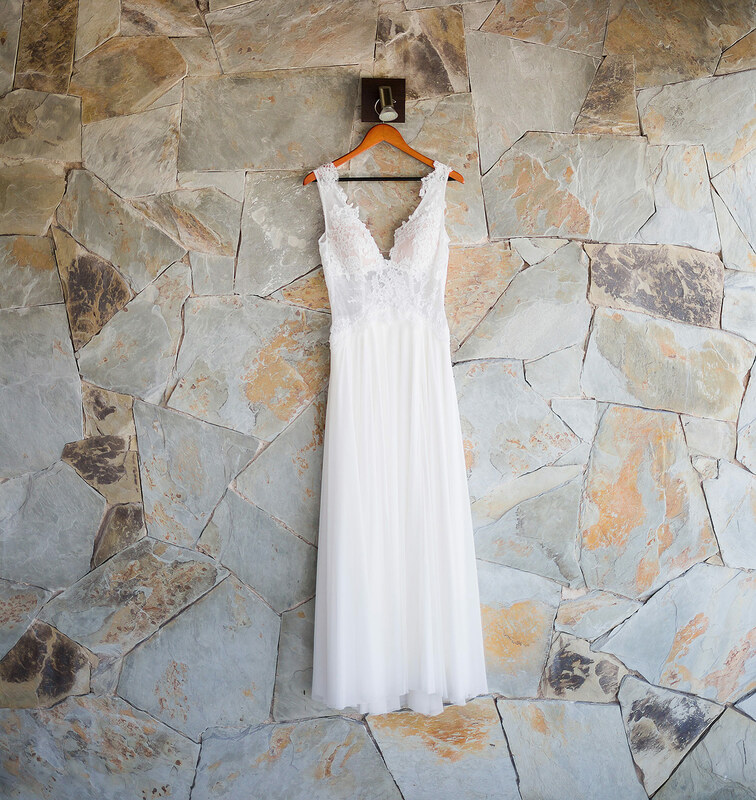 Each element, although simple and elegant was very well thought through and unique, everywhere I turned there was something new and vibrant to catch my attention. 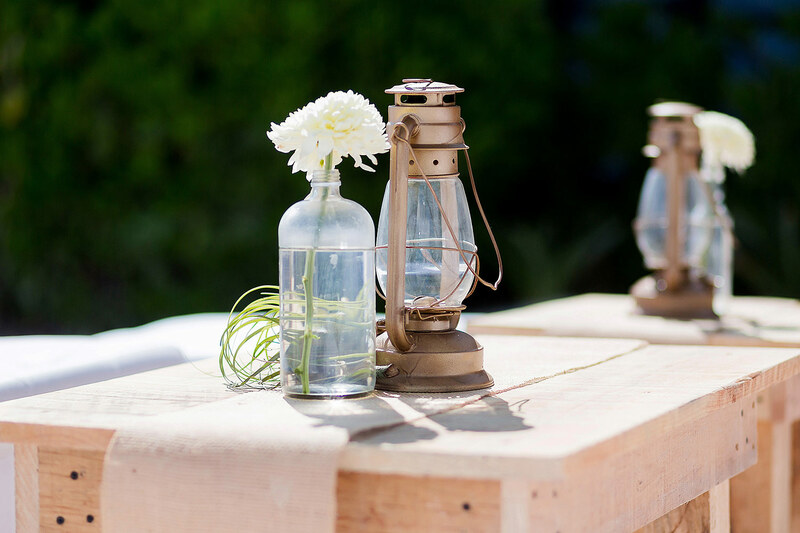 But this was not what captured me the most….! 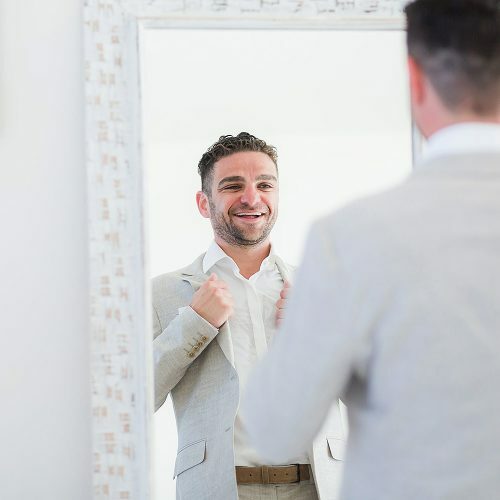 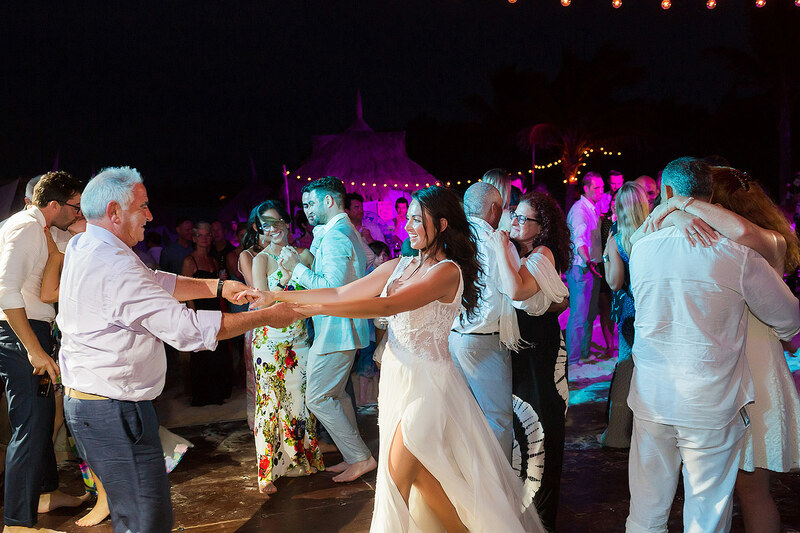 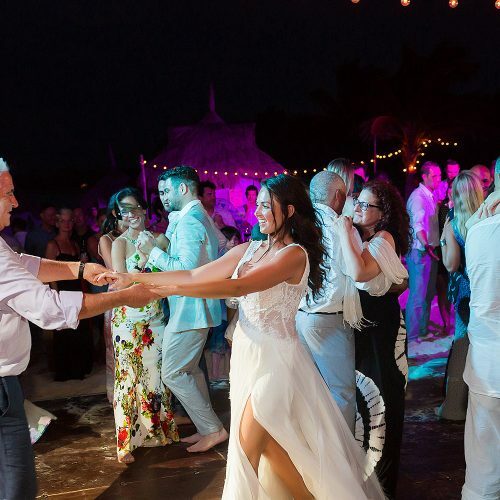 With the wedding party being an Argentinian and American mix, the emotion and excitement that was flowing around the venue were captivating. 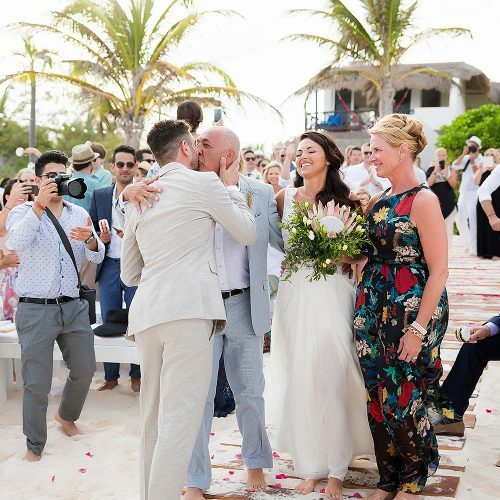 Not in a long time have I felt so much emotion and love towards a couple about to become lifelong partners. 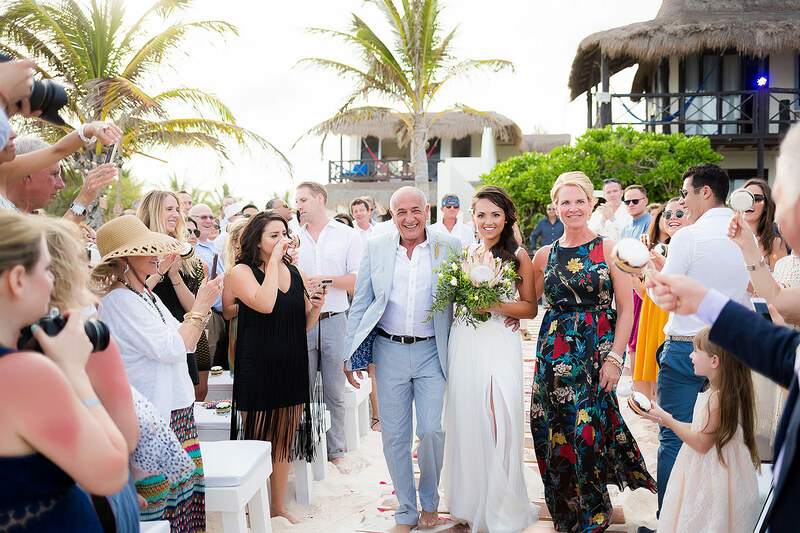 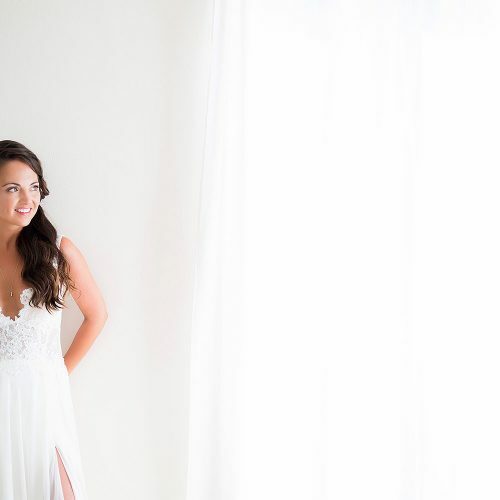 As you can see from the photos, once Malina began to walk down the aisle, all the guests where purely mesmerized by her sheer beauty and warmth, especially Elan. 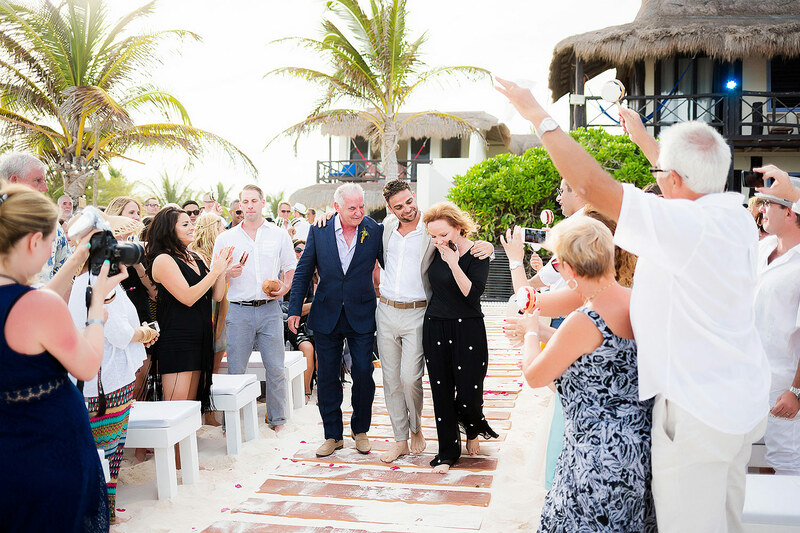 This was such a beautiful moment and touched everybody including myself. 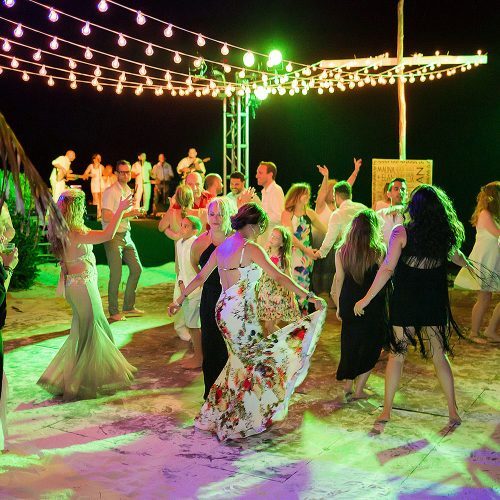 It was now time to move on to the party, little did we know how much fun this was going to be! 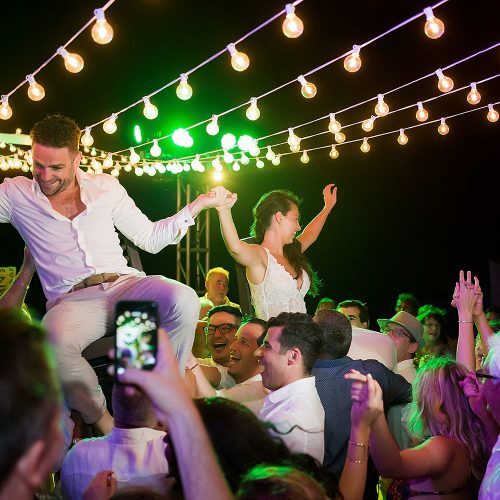 The evening was something like no other, as I stood there adjusting my camera, all I could hear and see was laughter and smiles, every single person at the wedding was having a wonderful time dancing, singing and enjoying the celebration. 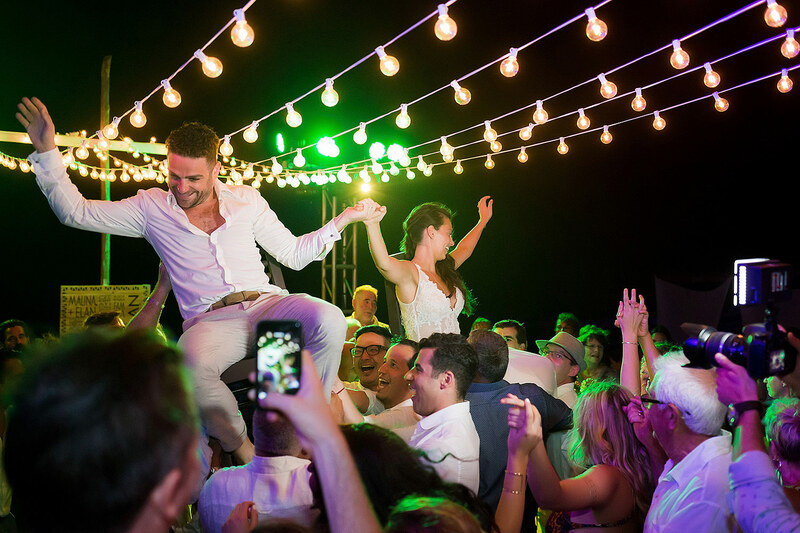 All in all the wedding of Malina & Elan was certainly one of emotion, love and pure enjoyment, I wish them a happy ever after.